We all know that children learn through play. It is through play and using their imaginations that children process the world. Play helps kids build a sense of their own identities and abilities. And it is through play that children learn essential life skills such as problem-solving, teamwork, and self-confidence. Play also helps kids develop the motor skills and cognitive ability to deal with real-life situations. Teaching survival skills through hands-on games and activities will not only make the experience more fun for your family, it will also help your kids remember key information when they need it. Here are ten fun prepping activities you can do with your kids. You can adapt and adjust the ideas for the ages of your children and for the specifics of your home, the time of year, and your location. It’s never too early to begin teaching your children how to identify plants. Kids have a natural curiosity about the world around them. Yet all too often we squelch that mindset with comments such as “Stay on the trail!” or “Don’t touch that!” without any explanation why. Learning which plants are edible or useful to us in other ways – as well as which ones are dangerous – helps kids feel more safe, stable, and connected to their environment. Why not make a game of identifying plants in your area? For young children, you could devise your own scavenger hunt with simple prizes. For older kids, use field guides or download apps designed for identification purposes such as Seek. Knowing how to start a fire is a basic life skill that children knew how to do from a young age for generations. Through our reliance on modern appliances and fear for our children’s safety, however, this skill has gotten lost over the years. During an emergency, knowing how to build a fire will help your kids stay warm, cook food, and purify water. 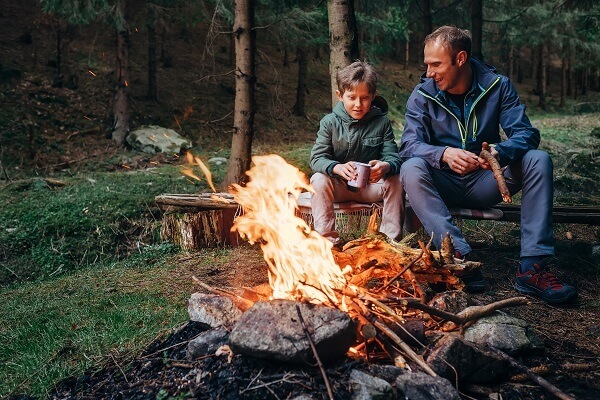 You can emphasize proper safety techniques as you teach your kids how to start a campfire. Here are a few steps to follow. Show them how to find a good spot away from the wind. This article explains the basics of finding and building a good site for a campfire. Assemble tools for putting out the fire before you set it. Keep a bucket of water handy as well as a shovel so you can smother the fire with dirt. Look for small pieces of wood, dry leaves, and pine straw to use as kindling. Explain how logs that are dead and dry (but not rotten) that are about the size of their lower arms will burn well. Demonstrate how to place one end of a log on top of another so that air can flow through the stack, fueling the fire. You can complete your fire-starting lesson by teaching your kids how to cook over it. If you have young children, this article shares a fun way to go over the rules before you do the actual cooking. You can empower your kids by watching these two children cooking soup over a campfire. And this article lists kid-oriented campfire recipes. The video below shows the process of building a fire and cooking a meal over it in the wilderness. Another essential survival skill to teach your kids is how to build a shelter. Explain to them the importance of completing this task before dark when they are more likely to be cold and tired. You can make this a fun activity by turning it into an observation game. On a hike in the wilderness, ask your kids to look for tell-tale signs of places where animals sleep. Examine trampled leaf beds, hollowed logs, trees, and caves. Discuss ways they can use these same ideas to find their own shelter in an emergency situation. Also demonstrate how they can construct simple shelters out of tarps, branches, and leaves. This Boy’s Life article goes over some of the basics. And here is a video that shows how to build a survival shelter in a forested area. Water is essential to survival. Although healthy humans can survive up to three weeks without food, we can make it only a few days without water. 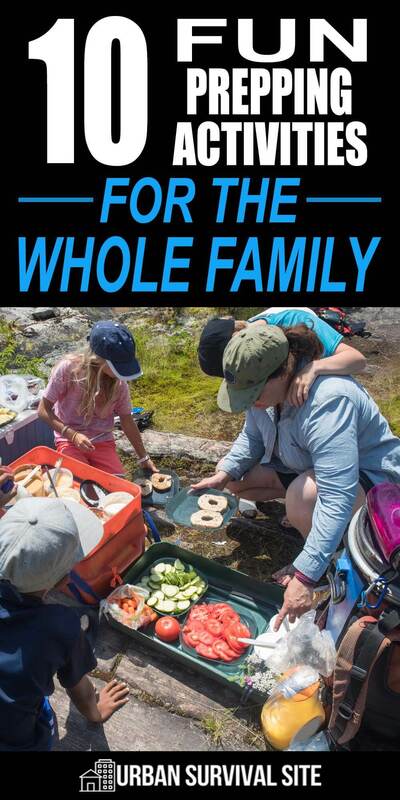 As you explore the wilderness together, encourage your children to look for signs of the presence of water. Point out how water runs downhill and direct them to pools of water or steams. Play “I Spy” for animal tracks, keeping in mind that well-worn paths often lead to a water source. Now that kids know how to find water, it is critical that they know how to clean it. Drinking contaminated water can cause severe illness and even death. They can purify water by boiling it, and you can teach them how to use a filtration device. 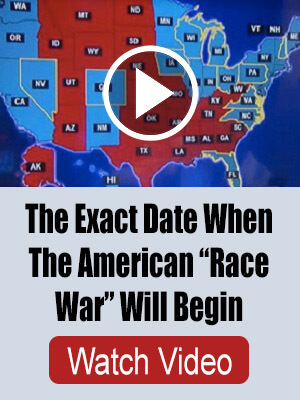 You can make this demonstration a hands-on science experiment. Allow the kids to collect water from a pond in a glass jar so that they can see the impurities. Then let them try different purification methods and rate the “clean” water by appearance and taste. Here is a helpful video showing how to make an inexpensive and simple water filter. Today, when we are lost, we often rely on GPS and Google Maps to help us find our way. But what happens when technology is not available? 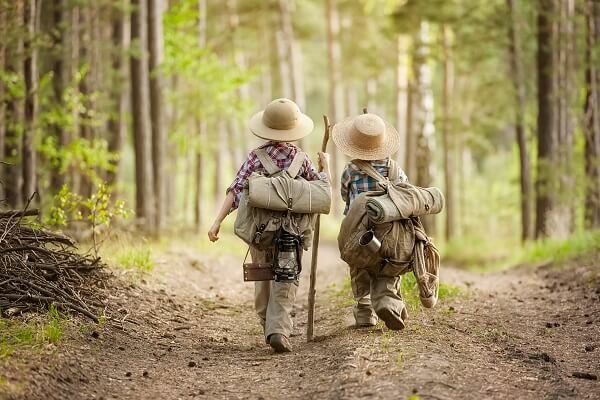 Navigation is becoming a lost art you must resurrect both for yourself and your kids. Learn the natural navigational tools we have at our disposal in the wild, including the sun, the way plants grow, and the stars. Discuss landmarks in your area – both manmade buildings and highways and natural markers such as hills and bodies of water. Here are some basics to use as a starting point. Explain the four cardinal directions. Discuss the Earth’s magnetic north pole. Identify the magnetic needle, orienting arrow, direction of travel arrow, base plate, and rotating housing. Let kids practice finding which way is north by looking at the compass. Then create a special scavenger hunt for which children must use their compasses to find the items. Of course, offer prizes at the end of the game! Have a “lights out” drill. 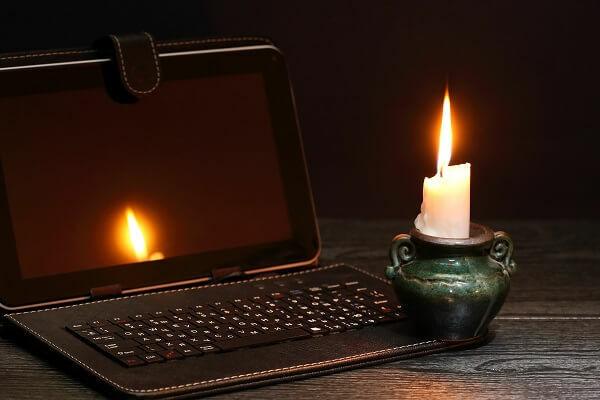 Turn off all lights and ask your children to locate flashlights and candles without your help. Have a regular night (or two) for non-tech entertainment. That means no phones, no TVs and no computers. Encourage board games, reading, music, and good old conversation as alternatives. Purchase a hand-powered “crank” radio and show your kids how it works. Look for ways to make better use of natural light in your home. Conduct an energy treasure hunt. Invite children to search for energy wasters in your home and outbuildings such as unused cords plugged in, drafty doors and windows, dripping faucets, and appliances and electronics left on when not needed. Here is a website with facts and activities on energy conservation that is designed for kids. One of the most valuable skills you can pass down to your children is how to grow their own food. Kids love to garden. 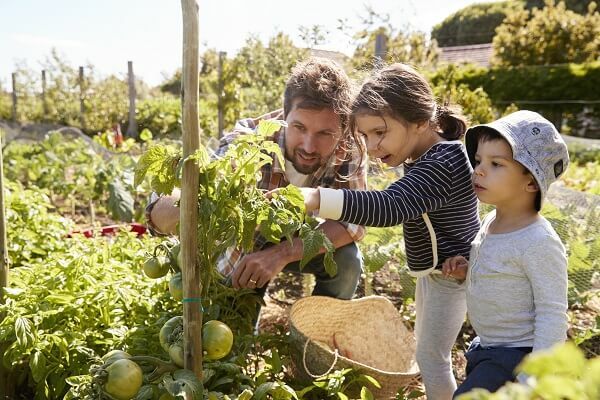 Involve your kids in your gardening process from start to finish. They can help you select seeds, plant seeds indoors, transplant new starts outdoors, weed, water, fertilize, and harvest. A sunny location in the yard with well-drained soil. Metal, plastic, or wood edging for a “pizza” outline. Seedlings of pizza toppings (tomato, oregano, bell pepper, basil, chives or onions, rosemary, basil and parsley. If you don’t have space for a large garden, your kids also can plant a pizza garden in pots. Here’s an article and a video that demonstrates how to grow a pizza garden. As parents, we want to clean and bandage our children’s cuts and other wounds ourselves. However, don’t let this tendency prevent your children from knowing how to perform basic first aid. 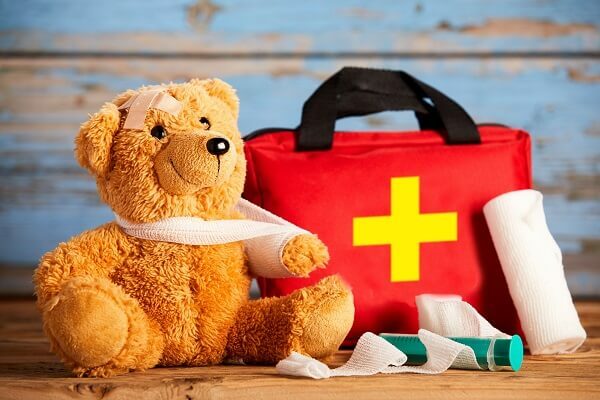 You can make first aid lessons fun for young children by allowing them to “treat” their dolls or stuffed animals. Once they know the basics, such as making a splint and treating a cut, let them help you stock a family first aid kit as you explain the purpose and use of each supply. Here is a worksheet to help parents instruct their children on first aid. 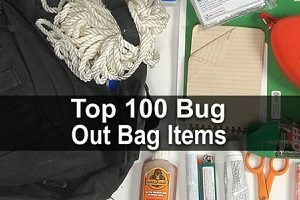 And if you prefer to purchase a well-stocked first aid kit, here is a good option. Finally, children can gain confidence by knowing how to defend themselves in dangerous situations. Therefore, another element of survival preparation should be self-defense training. This education can include training in the use of firearms and other weapons, martial arts classes, and wild animal awareness and tactics. Taking a self-defense class as a family will make this aspect of emergency preparedness more fun. Your kids are constantly learning, and you are their best teacher. 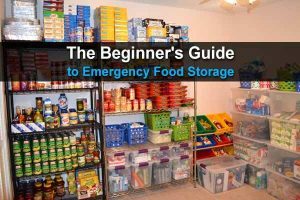 When you make emergency preparedness part of your daily lives, you will be modeling for them one of the most important lessons of all.